Tag Archives for " FedEx "
Lots of people talk about business models these days, but what does it really mean? When it comes to starting or planning for business success your model is essentially your decision about how you intend to add value – which is another way of saying – how you intend to make money. Business is a pretty simple thing really, but I think people planning to start one or even those engaged in running one can over think it. Make stuff – This might mean an actual product, but it also includes making a determination about what markets to enter and how to innovate. Market stuff – Whatever the business is meant to do it can’t survive long unless people know about, understand it and are motivated to buy from it. Deliver stuff – This is where the real value exchange happens. No matter if this is a product or a result, the business must exchange what has been promised. Count stuff – This is what most would call finance, but to me it also includes measuring and analyzing all manner of data, both tangible and intangible. Product/service – A business can make and sell its own products and services. This is probably the most common approach. Evernote makes a great software product and distributes it through a free to upgrade approach. A marketing consultant sells a consulting engagement for a monthly retainer fee. Products and services can be packaged and distributed through a multitude of channels and delivered in physical form, digital form and as one time purchases or ongoing subscriptions. Reseller – Resellers don’t necessarily make or even warehouse what they sell. They find products or represent brands and generally make profit based on the difference between the price they sell a product for and the price they must pay to acquire or sell the product. Affiliate marketers fall into this category as do what are commonly referred to as value added resellers (VARs). Microsoft partners, for example, sell and install Microsoft products and add services, such as customization and training, to enhance the basic product. Many straight up eCommerce companies, such as JustBats.com, fall into this category as do many eBay and Amazon sellers. Most retail establishments also fit this model. Broker – The broker essentially brings buyer and seller together and takes a transaction fee. They may also provided services that make a transaction happen more smoothly, such as the case of a real estate agent. This category has exploded with the growth of online platforms that make bringing buyers and sellers together from anywhere in the world much easier. In many cases this business model includes the creation of a marketplace, handling transactions and ensuring security. Clarity.fm is a great example of the new breed of broker as they bring experts and those seeking advice together. PayPal is another example of brokering services between a buyer and seller. In this case, it’s the actual exchange of money. Aggregator – An aggregator builds a community and then charges for access to the community. In many ways publications and news sites fit this model as they build a subscriber base and then charge advertisers a fee to gain access, by way of a positioned ad, to their community. Comparison shopping sites, like Shopzilla, and daily deal sites, like Woot are prime examples of how the Internet has grown this category. 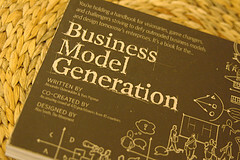 So, how does an entrepreneur decide what business model to adopt? Market Potential – It’s probably a good idea to determine how big the market could be for your idea. There’s nothing wrong with going into a very narrow niche, but you might build a different business than if there is a greater potential. Competitive Landscape – You must understand who else is already doing what you want to do and get a real feel for what their value proposition is. Having competitors who forge and prove demand for your idea is not a bad thing. Ideal Customer – In startup mode this may be a hypothesis, but you need to narrowly define the characteristics and qualities of the customer you intend to serve. From here you can begin to get a better view of the size of the market and how to best access it. Value Proposition – There’s one question you must be able answer in a compelling way – why you? Every entrepreneur falls in love with their concept, but it you can’t very simply explain why a market is going to choose your idea over another you’re destined to wobble around trying to grow. Distribution Channels – There are many, many ways to get your product, service or idea to market. Direct sales force, distributors, eCommerce site, retail store, sales reps, and marketplaces like Newegg. In some cases you might even choose a combination of several. This is a crucial decision as profit and expenses can very greatly depending upon the model that fits. Revenue Streams – Your business should have a core way to make money. But, a strong business model should also consider additional ways to add value and make money. This can be through the sale of related products – Map My Fitness sells a premium upgrade for their core app but also creates a marketplace for 3rd party addons such as heart rate monitors and bike computers. It can also come from the convergence of several assets – a consultant creates blog traffic and notoriety for their point of view and adds advertising, speaking and books as revenue streams while enhancing their core consulting business. Strategic Relationships – Many business models hinge on developing partnerships with companies that have products or services that are central to the model – a software company may need relationships with key software makers in order to build a business. This might also include key competencies – an electrical contractor may find that they must find technicians or partners with low voltage expertise in order to service the growing demand for data and entertainment related installations. So, the process for determining a business model is really an exercise in understanding the classic models and determining the best fit for your idea through a process of elimination. 3 Books for startups – each of these books come at this idea from different angles and make great reading for startups and season owners alike.